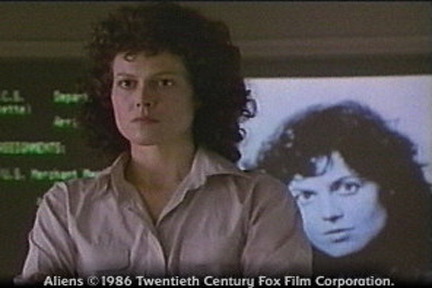 After floating in space for 57 years, Lt. Ripleys (Sigourney Weaver) shuttle is found by a deep space salvage team. Upon arriving at LV-426, the marines find only one survivor, a nine year old girl named Newt (Carrie Henn). But even these battle-hardened marines with all the latest weaponry are no match for the hundreds of aliens that have invaded the colony.